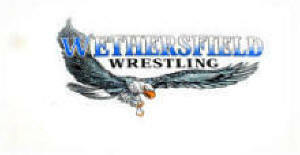 High School wrestling is governed by the National Federation of State High School Associations (NFHS). The governing body works to maintain the sound traditions of the sport, encourage sportsmanship and minimize the inherent risk of injury. The NFHS writes the rules for varsity competition among student-athletes of high school age. The rules and guidelines are constantly being reviewed and revised each year to address both the health and safety of the wrestlers. A copy of the official rule book may be obtained from the NFHSA online at www.nfhs.org. Takedown: It is a takedown when, from a neutral position, a wrestler gains control over his or her opponent down on the mat while supporting points of either wrestler are in bounds. When the majority of the defensive wrestler's weight is on his or her hand or hands, they are considered supporting parts. A takedown should be awarded when one or both knees of the defensive wrestler are touching the mat beyond reaction time or when the defensive wrestler's legs or torso are controlled and his or her hands support the majority of his or her weight. In awarding a takedown at the edge of the mat, control must be established while the supporting points of either wrestler are in bounds or while at least the feet of the scoring contestant finish down on the mat in bounds. When a takedown is secured, the wrestler shall be awarded two (2) points. Escape: It is an escape when the defensive wrestler gains a neutral position and his or her opponent has lost control, while the supporting points of either wrestler are in bounds. When the defensive wrestler earns an escape, he/she is awarded one (1) point. Reversal: There is a reversal when the defensive wrestler comes from underneath and gains control of his or her opponent, either on the mat or in the rear standing position, while the supporting points of either wrestler are in bounds. In awarding a reversal at the edge of the mat, control must be established while the supporting points of either wrestler are in bound or while the at least the feet of the contestant finish down on the mat in bounds. The defensive wrestler who has earned a reversal, is awarded two (2) points. Near Fall: Near Fall criteria is met when any part of both shoulders or both scapulae of the defensive wrestler are held within four inches of the mat or less, or when on shoulder or scapula of the defensive wrestler is touching the mat and the other shoulder or scapula is held at an angle of forty-five degrees or less with the mat or when the defensive wrestler is held in a high neck bridge or on both elbows. The wrestler in the advantage position is awarded two (2) points when near fall criteria is met for two seconds or if the defensive wrestler is injured or bleeding occurs just prior to near fall criteria being met. When the criteria is met for five seconds, or if the defensive wrestler is injured or bleeding occurs after near fall criteria has been met, a three (3) point near fall shall be awarded. If the defensive wrestler is injured or bleeding occurs after a three point near fall has been earned, a four (4) point near fall shall be awarded. Fall (Pin): A fall occurs when any part of both shoulders or both scapula of either wrestler are in contact with the mat for two seconds. The two seconds (one-thousand-one, one-thousand-two) shall be a silent count by the referee and shall start only after he is in position to observe if a fall is imminent. The shoulders or scapulae must be held in continuous contact with the mat in bound. A fall (pin) ends the match.